The familiar site of pay-and-display machines could soon be a thing of the past following the launch of a newly updated mobile parking app with YourParkingSpace.co.uk. One of its key features allows customers to adjust their parking time if they are late back to their vehicle, rather than having to guess beforehand how much time they might need. “A huge bugbear to motorists is returning to their vehicle to find they have been issued with a ticket just for being a few minutes late, more often than not when it is no fault of their own. “Customers using our updated YourParkingSpace.co.uk app don’t have this headache. It gives them the freedom to park at their chosen location with the ability to adjust their end parking time via their mobile device if they are running late,” comments Harrison Woods, managing director at YourParkingSpace.co.uk. Other notable additions include a book and pay feature and a one click re-booking functionality. 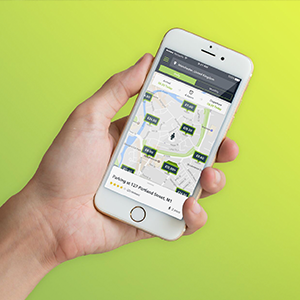 Available on iOS and android devices, the free to download app enables drivers to search and compare over 250,000 private and commercial parking spaces across the country. YourParkingSpace.co.uk will continue to improve their mobile experience throughout 2017. A further app update planned for later this year will include a parking listing function, making it even faster for people with spare parking spaces or driveways to rent them out. Drivers looking to take advantage of cheaper and more convenient parking should visit www.yourparkingspace.co.uk or download the mobile app. People looking to rent out a spare parking space can also do so via the YourParkingSpace.co.uk website.